Mark Lithgow fick i uppdrag att berätta lite om etikett för dojos i allmänhet, men Hombu Dojo i synnerhet. I had a chat with Soke at his house last week regarding ‘dojo manners’, and he said that these things were important to pass on to all Bujinkan Dojo members. Today (Sunday May 10th, 2015), he had me stand up in front of the class to pass them on to the people present. 2) Shoes in the doorway. This is based on a simple idea that ‘Inside is inside and outside is outside… and those two places are kept seperate’. 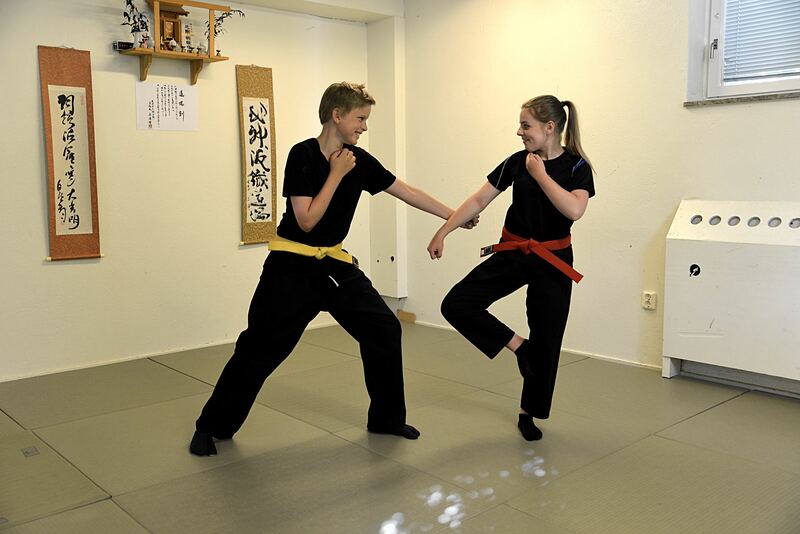 When we are training in the dojo, we are wearing indoor footwear… usually tabi. Indoor tabi can have cloth or leather soles. Rubber-soled tabi, known as ‘jika tabi’ are for outdoor wear, and should never be worn in the dojo! Indoor footwear is for indoors, and outdoor footwear is for outdoors ONLY. The border is the wooden boards on the floor on the ‘genkan’ (entrance). The wooden boards are INDOORS. A few weeks ago, I arrived to find a bunch of shoes actually ON the boards! If you are wearing (indoor) tabi, don’t dirty the soles by going outside, and then tread that dirt back inside. If you want to sneak outside for a quick smoke, please put your shoes on! Again, once your tabi have been outside, please do not tread the dirt back in the dojo! And don’t step out of your shoes onto the (outside) floor, then step up. Step up directly from your shoes! The doorway in the new dojo is a little small, and sometimes you might have no choice but to take one step on the outside floor. It can’t be helped sometimes, but please try your best to avoid it. The above points were the ones mentioned today, but I would like to add a couple more – some things that I noticed today, which I feel warrant a mention.